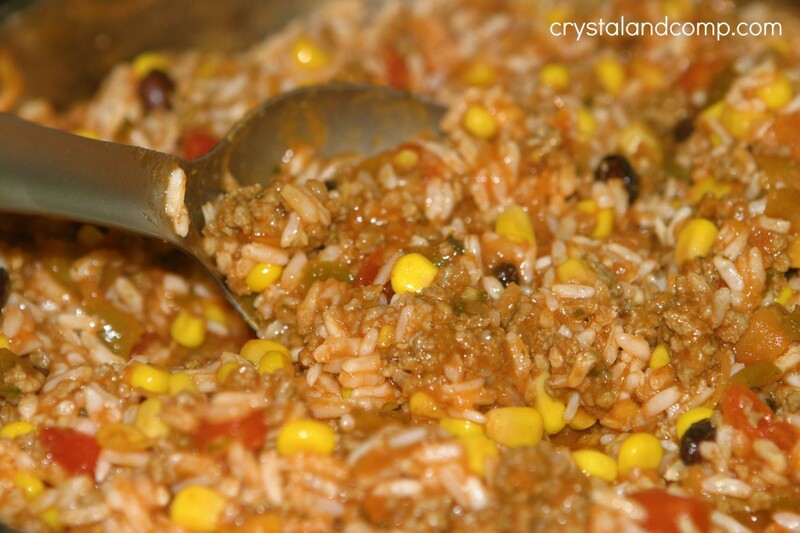 This past week I made this delicious and super easy Mexican rice meal. Dinner was on the table in about 20 minutes. It is perfect for a busy weeknight. We have this family cookbook that was put together when my Grandmother was still alive. See, my Grandmother is the youngest of seven daughters. In 2004, even though many of the daughters had already passed away, their children decided to pull together family recipes and have it published in a cookbook. It was appropriately titled with the family name of the daughters- their mother was a Wood and their father was a Troy. A beautiful picture circa early 1930’s was used as the cover photo. The sisters names (in order from left to right/ top to bottom in the photo below) Ruby, Artie, Willie, Maxine (my Grandmother), Grace and Zula. Isn’t Zula a beautiful name? Lillian is not photographed- she passed away as a toddler. I have had this cookbook on my book shelf since 2004 and there are many recipes inside that were submitted by my Grandmother. It makes me so proud to see her name in this book and many of the recipes I remember her making when I was younger. 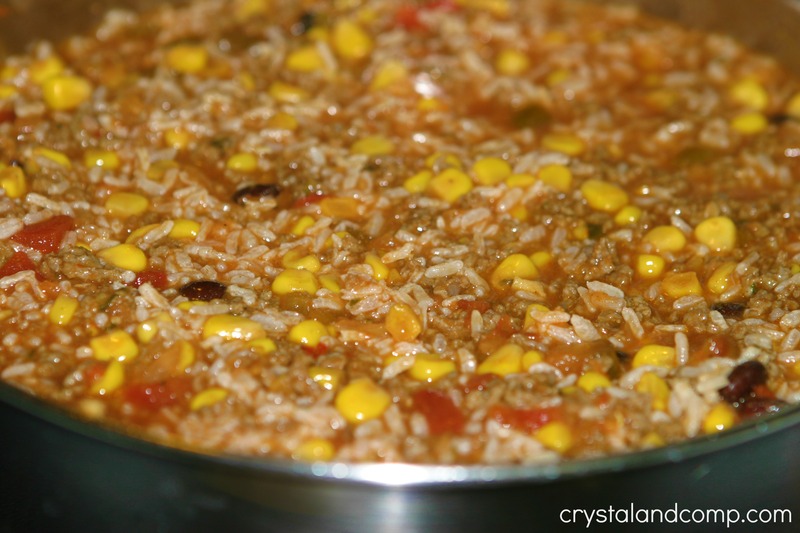 As I searched the cookbook I found a Mexican Rice recipe and it looked tasty. What do you know, it was submitted by my mother. I am excited to share this recipe with you and hope to share many more family recipes with you from this cookbook. The beauty in using my batch cooked taco meat recipe is that it easily shaves 10 minutes off your cook time. Take one pound of it out of the freezer and let it thaw. 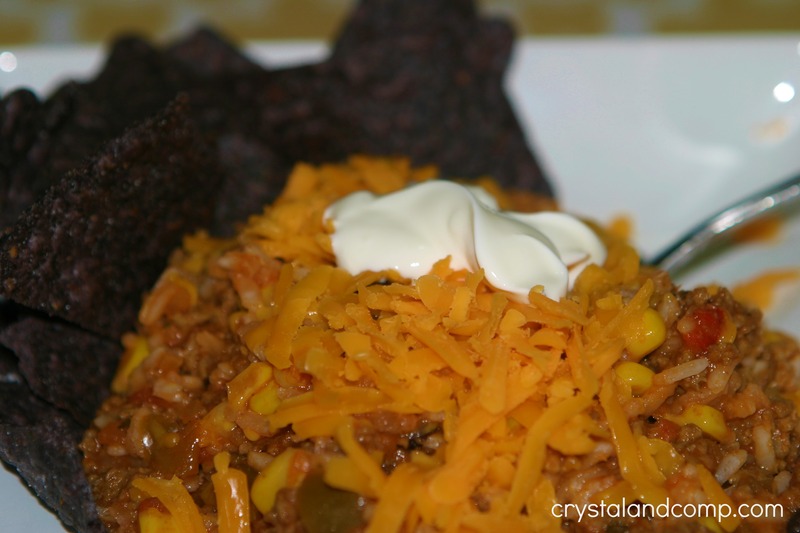 Toss the taco meat into a skillet and heat it up for about 3 minutes over low-med heat. Mine was still a tad bit frozen in the middle, but it heated up well in just a matter of minutes. If you’re using plain hamburger, brown it in the skillet over medium heat. Once your meat is done, add the corn. 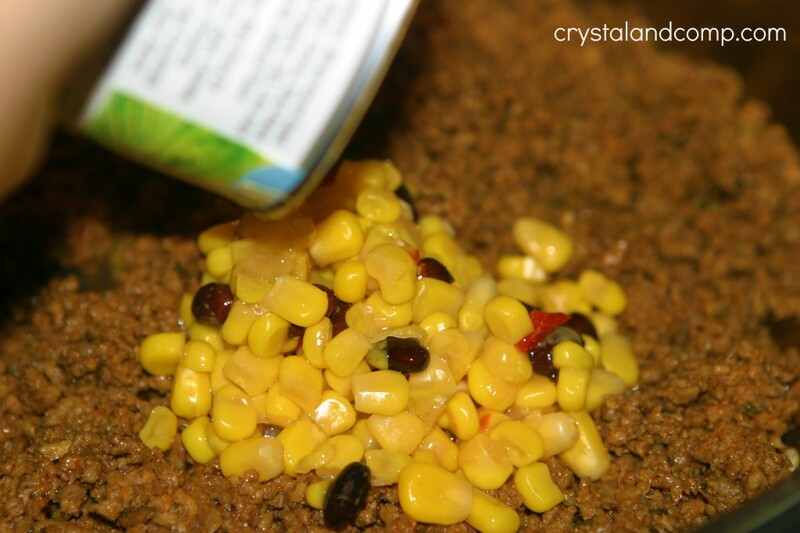 My can of corn also had a few black beans added in. I liked the flavor this added. Add the rice and the water. 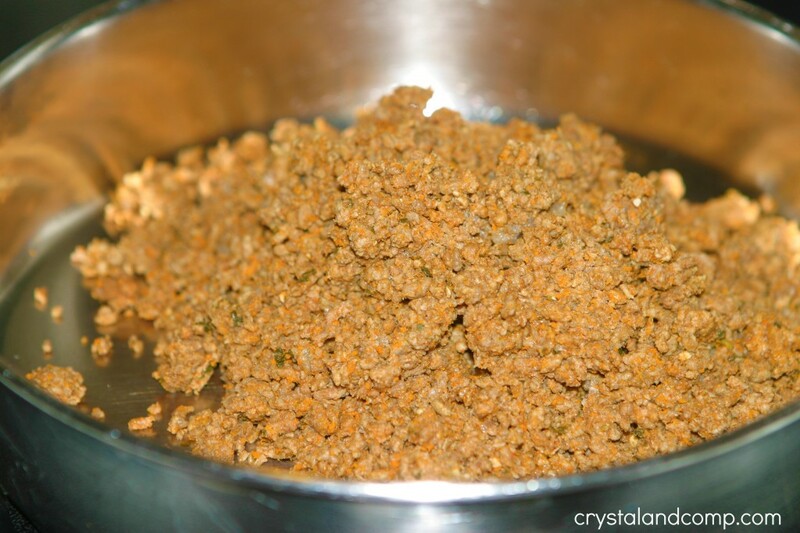 If you’ve used plain hamburger meat this is where you will also add the chili powder. Stir to combine well and pop the lid on it. Simmer over low heat for 5-10 minutes. 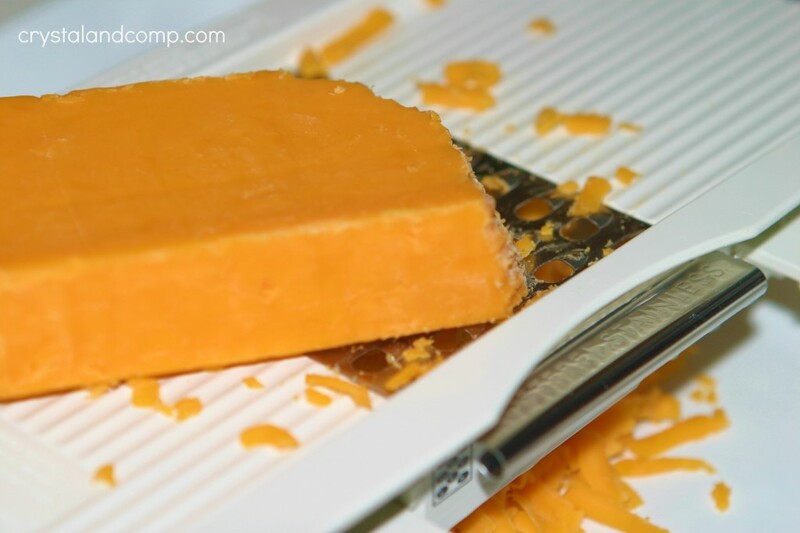 In the meantime, grate your cheese. When the beefy rice is done all of the liquid will be evaporated like this photo. Serve each plate with some grated cheese on top. I also served this with tortilla chips- we are a family that loves to dip. I added some sour cream to mine. Yum! 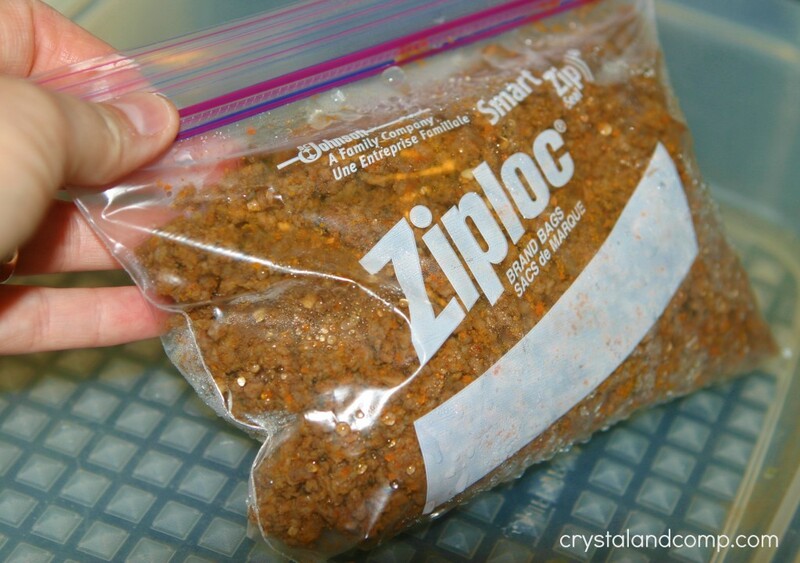 The beauty in using my batch cooked taco meat recipe is that it easily shaves 10 minutes off your cook time.Take one pound of it out of the freezer and let it thaw. 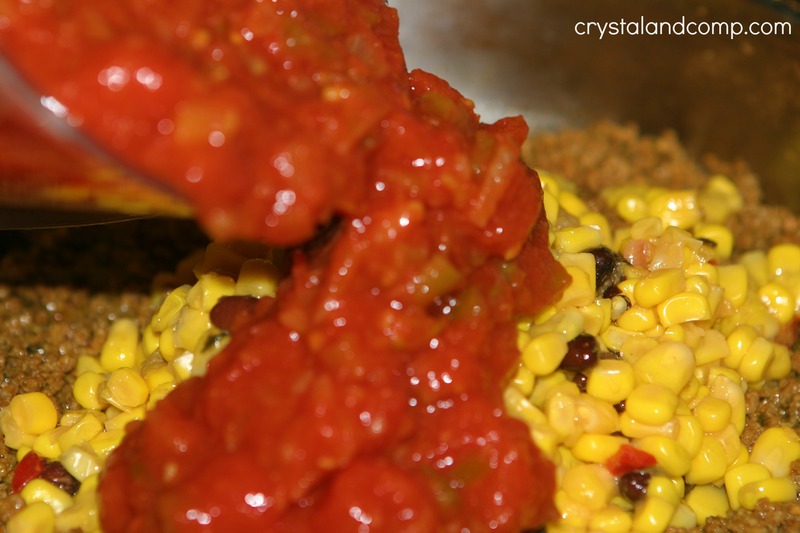 Toss the taco meat into a skillet and heat it up for about 3 minutes over low-med heat. If you're using plain hamburger, brown it in the skillet over medium heat. 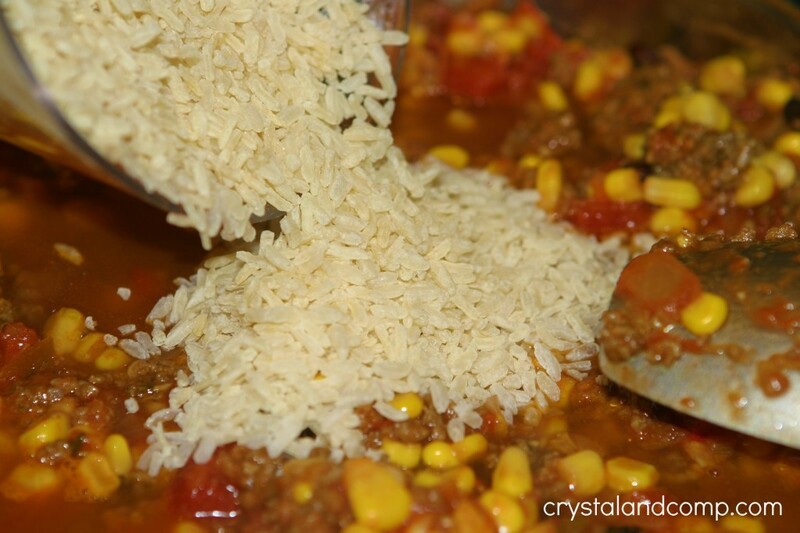 If you've used plain hamburger meat this is where you will also add the chili powder. When the beefy rice is done all of the liquid will be evaporated. Serve each plate with some grated cheese on top. I also served this with tortilla chips- we are a family that loves to dip. I added some sour cream to mine. Yum! I think this is my favorite recipe you have shared. 🙂 It looks yummy and I can’t wait to try it. Awe, thanks Kim. My mother will be happy to know that. I actually thought this might be a recipe your family would like. 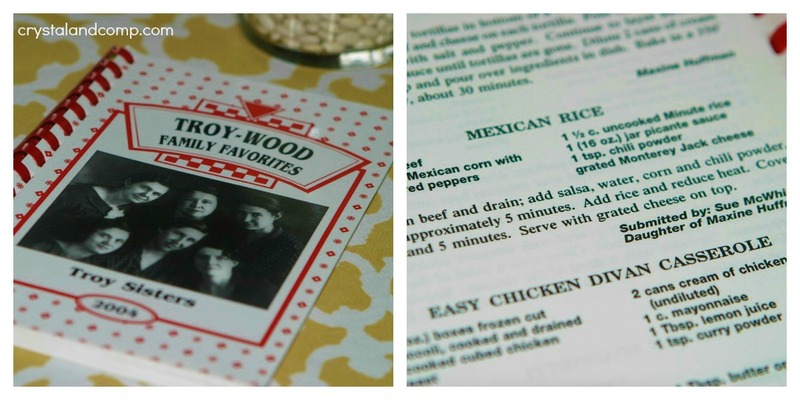 It is kind of like Indiana Chowder but rice instead of noodles and more Tex-Mex flavor. This looks so delicious. Definitely might give this a try. I am Always looking for new meal ideas. Great recipe! This recipe makes a very flavorful and satisfying entree. Monica- it is super filling and satisfying! This looks yummy and easy.. just what I am looking for! Thanks for sharing the recipe! Love your recipe for beefy mexican rice! It looks very delicious! Stopping by your blog from Mouthwatering Monday (I posted #5 Pizza Sauce). This was a great weeknight meal for my family, ven the 2year old enjoyed it. Thank you for sharing.